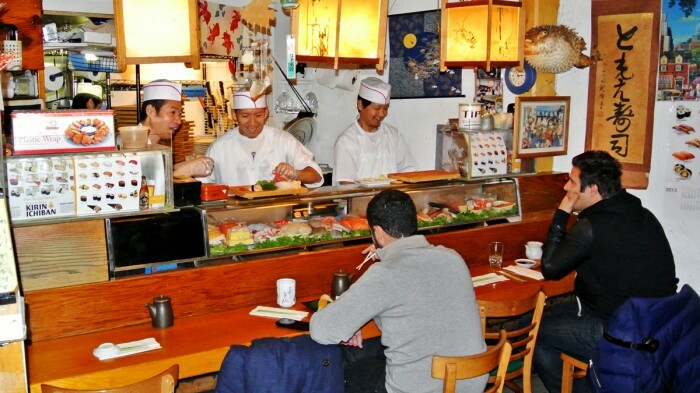 Sushi is one of those things that nearly all New Yorkers love. There’s such a vast difference in quality between the cheap stuff and the expensive stuff that it’s often hard to find really great, fresh sushi without feeling like you won’t be able to pay your rent. 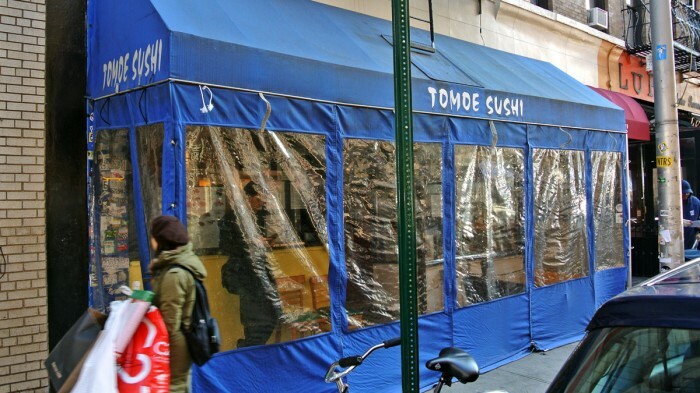 If you want impeccably prepared fish without breaking the bank, look no further than Tomoe Sushi on Thompson Street in Greenwich Village. Try to ignore the gross winter wind shelter and head in between 1 and 3 PM and try to snag yourself one of the coveted seats in their small dining area. The space is decorated simply with many of the Japanese standards such as lanterns and posters as well as a number of posted food specials. The lunch menu has many options, but I quickly honed in on the Sashimi Lunch Special so that I could enjoy the pieces of high quality fish unadulterated. 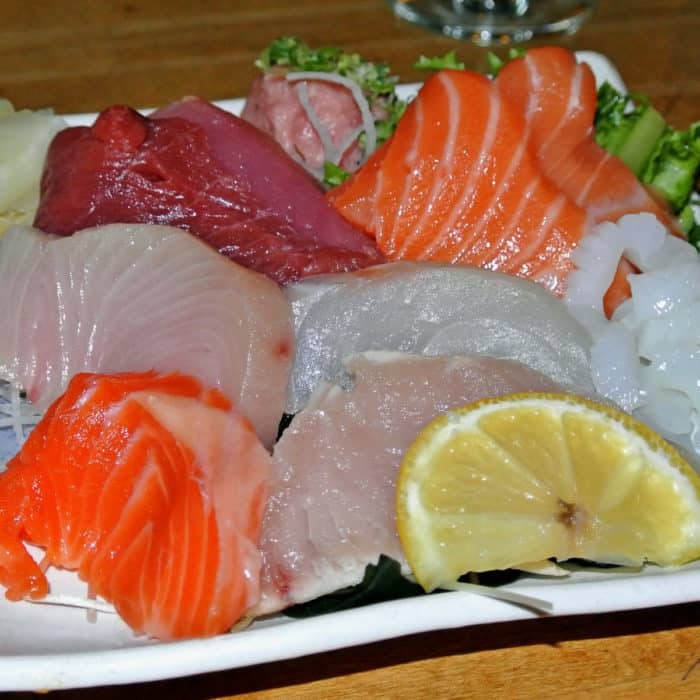 The lunch special features 10 pieces of raw fish, a side of rice, and the choice of miso soup or salad for only $19. 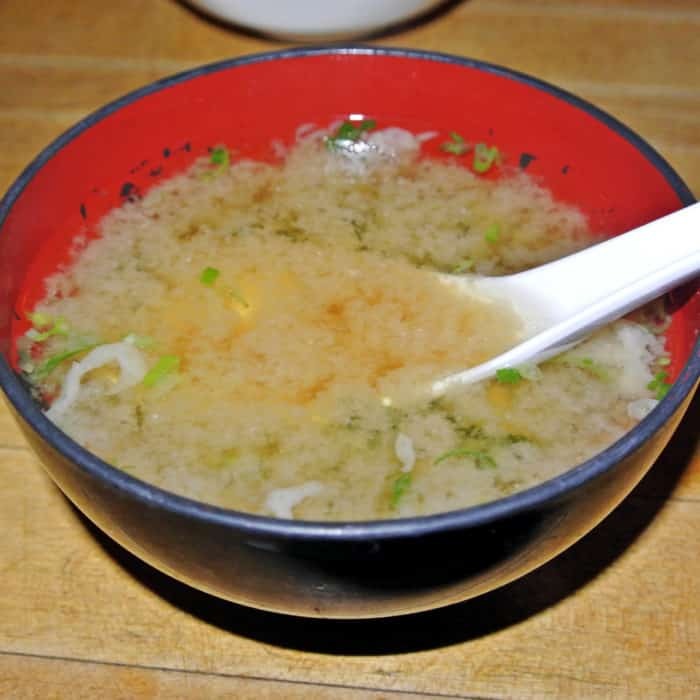 I opted to begin my lunch with miso soup and their version is really great with a strong green onion flavor and large, fresh, giggly cubes tofu scattered throughout. Soon after completing my soup, my lunch platter arrived. I was very impressed by the generously large and vibrantly colored slices of fish. Every single element on the plate was extraordinarily fresh. My favorites included the thinly sliced, wasabi-flavored squid, arctic char, and salmon which had an almost buttery quality as it melted on my tongue. Really everything was outstanding though. If you’re looking for better sushi than the usual cheap three-roll special, do yourself a favor and head over to Tomoe for lunch. At only $19, the quality and quantity of fresh fish is an absolute steal. Where do you go for your sushi fix. Let me know in the comments below!